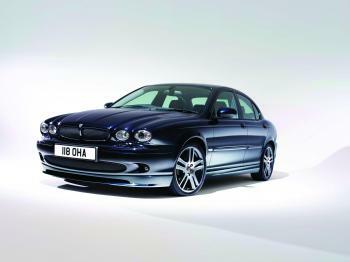 Jaguar's X-TYPE diesel range moves up a gear for the 2006 British model year with the introduction of a new 2.2 litre turbocharged engine and six-speed manual transmission. The new engine takes the number of diesel X-TYPE models to four and Jaguar's diesel range to five, with a sixth soon to be announced in the shape of the new XJ Diesel. The new 155PS engine gives X-TYPE customers the choice of a premium diesel with high performance and refinement in equal measure. With torque peaking on overboost at a solid 400Nm, the 2.2 litre engine delivers an ideal combination of effortless cruising power and rapid acceleration. Taking 50-75mph (80-120km/h) acceleration in 4th gear as an example, the X-TYPE 2.2 is timed at 6.7 seconds, putting it ahead of the pack in its segment and comparable to cars with much larger petrol engines. In addition to this exciting engine performance, the 2.2 X-TYPE – which meets the new Euro IV emissions legislation standard – has the high level of ride and handling ability that Jaguar customers demand. The new X-TYPE 2.2D will complement the existing 2.0 litre common rail turbocharged diesel engine that was introduced in late 2003. This 2.0 litre engine has also been re-engineered for the new model year, and like the new 2.2 now features electrically controlled variable vane geometry for improved turbocharger control and immediate throttle response. 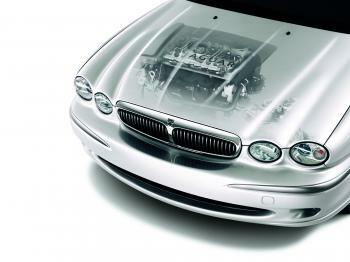 As a result, all Jaguar’s X-TYPE diesel engines comply with stringent Euro Stage IV emission requirements – ahead of the date required by legislation. The new 2.2 Diesel continues Jaguar’s successful advance into the diesel market and reflects the continued growing demand for premium diesel cars. Designed to provide customers with a premium performance package, the 2.2D has been developed as part of a joint venture between Jaguar and its parent company, Ford. Jaguar’s engineers played a prominent role in the development of the new Diesel, setting strict driveability and refinement targets that customers would expect from any Jaguar engine. The end result is a state-of-the-art four-cylinder unit that produces 155PS and 360Nm (EEC) of torque, which is available from as low as 1800rpm. An overtaking ‘overboost’ facility provides an immense 400Nm of torque to allow for even more instantaneous response and consequently safer motoring. To cope with these significant loads, Jaguar is also introducing a new six-speed manual transmission to ensure even more relaxed high-speed driving and reduced CO2 emissions. The new Jaguar X-TYPE 2.2D will go on sale throughout the UK from September this year, meaning that new and existing customers in the compact market will have even more reason to enjoy the Jaguar they have always dreamed of. "The new 2.2 litre engine gives X-TYPE Diesel customers more of what we know they like: more power, more refinement and of course more choice," says Jaguar Cars Managing Director, Bibiana Boerio. "The 2.0 litre turbo diesel that signalled Jaguar's arrival in the diesel market, has proved a great success for us across Europe – and we have every expectation that this new model will be even more popular." New 2.2 litre turbocharged four-cylinder Diesel engine produces 155PS and 360Nm (EEC) torque, with 400Nm overboost facility. New 2.2D and existing 2.0D engines now both Euro Stage IV emissions compliant. Fuel-efficient 2.2 litre Diesel engine offers over 57mpg fuel economy (under 5.0l/100km) extra urban cycle and low CO2 emissions levels (159g/km in the saloon). New 2.2D X-TYPE offers levels of performance, refinement and acceleration that are amongst the best-in-class. New six-speed manual transmission introduced to match performance potential of new 2.2D engine. Technically advanced acoustic sound-proofing to ensure excellent levels of refinement and NVH (noise, vibration and harshness). Two new exterior body colours – Winter Gold and Indigo – and a new 15-spoke, 16-inch Antares alloy wheel introduced to 2006 X-TYPE range. 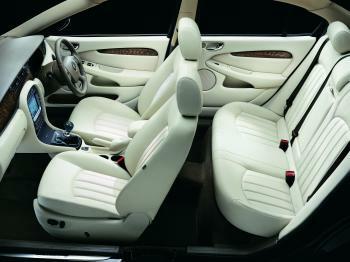 The new X-TYPE 2.2D goes on sale in England from September. There are, presently, no plans to bring the diesel engined X-TYPE to Australia. The new 2.2 litre Diesel engine available in the X-TYPE produces one of the highest torque figures of any four-cylinder engine on sale today (360Nm EEC at 1800-2250rpm, with 400Nm overboost). Yet thanks to its enhanced fuel injection system, turbocharger and exhaust gas controls it also manages to produce just 159g in the saloon (and 164g in the Estate) of CO2/km making it one of the cleanest cars in its class. On top of that it is one of the most refined thanks to detailed fine-tuning of the new engine as well as the transmission and sound-proofing materials. "Our goals for the new 2.2 litre Diesel were simple enough; deliver a car that offers more performance than the 2.0 litre with everything else either equal or better," reveals Jaguar Cars Managing Director, Bibiana Boerio. "We've achieved that and Jaguar's diesel line-up continues to expand – and we haven't finished yet." Just one example of the quest for greater refinement is the fact that the 2.2D engine produces quietness figures that are amongst the best-in-class with extremely low levels of vibration. This is in part thanks to the use of sinter-forged connecting rods. These lightweight con-rods are produced with higher precision and accuracy than conventional forged parts, ensuring a precise balance between the rods themselves and the engine pistons. Similarly, significant enhancements to the fuel injection and turbocharger systems have produced improvements in fuel flow control. The latest common rail fuel system with solenoid valve controlled fuel injectors means that every injection of fuel into the engine is precisely controlled and metered, reducing unnecessary engine noise and further improving refinement and efficiency. The 2.2D’s turbocharger is highly advanced, now utilising the latest in electrically controlled vane systems that lets the engine’s ECU perform more precise and progressive activation of the fan vanes, helping increase turbocharger efficiency and thereby allowing for even faster throttle response. The turbocharger also has an uprated compressor, leading to higher overall power and torque outputs. "Jaguar's engineering team has really moved the game on with the 2.2 litre engine, combining serious torque – up to 400Nm on overboost – and a new 6 speed manual transmission to make the new X-TYPE a first rate driver’s car," says Phil Hodgkinson, Programmes Director, Jaguar Cars. "This sporty yet refined engine delivers genuine power and effortless performance with impressive overtaking ability, while also returning excellent fuel economy for the rational buyer." There is, of course, no point producing one of the world’s most advanced engines without allowing the driver to experience these major advances first hand. The way the X-TYPE 2.2D drives is a critical part of the equation, for every Jaguar must have the ability to stir the emotions, and consequently the engineering team worked hard to translate these high-technology gains into pure driving feel. As a result the 2.2D’s throttle pedal response is specifically developed to give a consistent and linear feel. In other words, the driver always gets exactly the amount of acceleration he or she has called for. The turbo overboost torque figure of 400Nm is another example of driver-oriented performance. By applying full throttle the engine will temporarily produce an 11 per cent increase in torque – ideal for quick, secure overtaking manoeuvres. This immense torque output means the X-TYPE 2.2D is one of the quickest four-cylinder diesel cars on sale today, with the saloon accelerating from 0-100km/h in 8.9s and reaching a maximum speed of 220km/h. The new six-speed manual transmission also brings with it significant real world benefits. The addition of a sixth gear means high-speed driving can be enjoyed at remarkably low engine speeds. Similarly, the closely spaced ratios combined with the generous torque available mean that the driver isn’t repeatedly forced to change down through the gears when looking to accelerate away. The significant increase in torque over the 2.0 litre Diesel X-TYPE engine means the 2.2D benefits from the introduction of new driveshafts that have been specifically engineered to match the full torque potential of the new engine. This allows the X-TYPE to utilise the pulling power of the 2.2D and even handle maximum torque from 2nd gear. This is especially beneficial when fully loaded or when being used for towing. The compact sports saloon and estate versions of the X-TYPE are recognised the world over as driver-focussed machines, but a Jaguar wouldn’t be a Jaguar without sumptuous levels of refinement and comfort. The new Euro Stage IV emissions regulations for diesel cars represent a significant challenge to all car manufacturers, for they demand that the engine meets the standards even when started from cold. A by-product of compliance with these regulations is that all new diesel engines are prone to increased levels of NVH during the engine warm-up phase. Undeterred by this, Jaguar’s engineering team came up with a series of unique solutions to maintain the strict refinement target levels that were set when the project began. A technically advanced acoustic trim is used to line the engine bay, while the car’s undertray is also acoustically tuned to absorb certain frequencies created during engine start-up. The 2.2D’s engine mounts have also been engineered to neutralise potential vibration into the chassis while extensive rig testing allowed the team to apply further noise absorption materials to the engine itself. The result is a car that has been engineered to the highest levels of refinement, ride, handling and comfort while maintaining the class-leading emission levels that a Euro Stage IV-compliant diesel engine can bring. The new 2.2 litre Diesel X-TYPE positions Jaguar’s compact saloon and estate range at the heart of the premium performance diesel marketplace. With the X-TYPE now available in five engine variants ranging from 2.0-litre V6 petrol, through the diesel models up to the 2.5 and 3.0 litre V6 four-wheel drive variants, there has never been more choice for the X-TYPE customer to choose from. All 2006 Model Year X-TYPEs will also benefit from further revisions that follow on from the makeover the car received in 2004. Two new exterior body colours are introduced – Winter Gold and Indigo – and a new 15-spoke Antares alloy wheel has been added to the extensive range of 16, 17 and 18-inch wheels already on offer. A Bluetooth ® wireless system is now also available for any X-TYPE model (where licence permits). With Bluetooth, a compatible telephone may be wirelessly operated via the car’s controls, without ever leaving the driver's pocket or briefcase, for easy, hands-free use. Every X-TYPE benefits from low maintenance and repair costs too, thanks to clever systems such as the bolt-on front end (BOFE) structure. This lightweight aluminium beam hidden behind the front bumper not only saves weight but significantly reduces the repair time in the event of a low-speed frontal impact that causes minor damage. With a new, high-tech diesel engine and low running and maintenance costs, the new X-TYPE 2.2D represents a convincing rational proposition for someone looking to purchase a performance diesel. But there is much more to the latest X-TYPE than simple, rational thought. Like every Jaguar, the 2.2D has an intangible feel, an emotional draw that imbues it with a spirit and dynamism that exists throughout the company’s range. It blends performance and refinement, comfort and personality, and in doing so puts Jaguar firmly on the performance diesel map. But only in the UK and Europe at this stage!